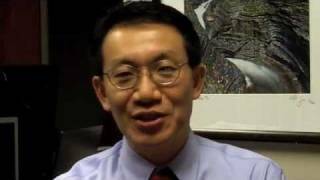 Dr. Leway Chen is Professor of Medicine at the University of Rochester. He started and is the Director of the Program in Heart Failure and Transplantation at the University of Rochester Medical Center. His clinical duties include management of heart failure, transplant, and mechanical assist device patients. 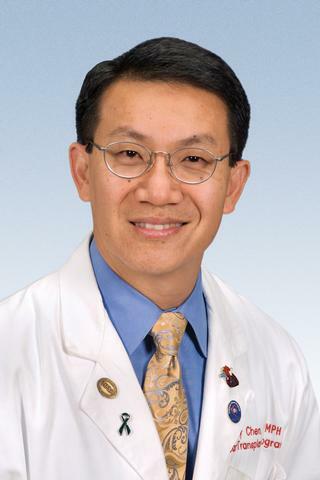 He is board certified in Internal Medicine, Cardiovascular Disease and Advanced Heart Failure and Transplant Cardiology. Dr. Chen received his M.D. in 1991 from the University of Missouri-Kansas City. He did his internal medicine residency at the Beth Israel Hospital in Boston, followed by a Research Fellowship at the Framingham Heart study and then a Cardiology Fellowship at the University of Washington. He obtained a M.P.H. at the University of Washington School of Public Health. 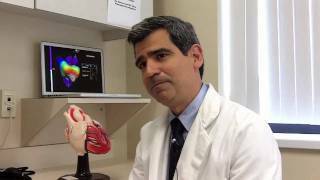 He is a member of the American College of Physicians, American College of Cardiology, American Heart Association, International Society for Heart & Lung Transplantation, and Heart Failure Society of America. He joined the faculty of the University of Rochester in 1999. Klodell CT, Massey HT, Adamson RM, Dean DA, Horstmanshof DA, Ransom JM, Salerno CT, Cowger JA, Aranda JM, Chen L, Long JW, Dembitsky W. "Factors Related to Pump Thrombosis With the Heartmate II Left Ventricular Assist Device." Journal of cardiac surgery.. 2015 Oct 0; 30(10):775-80. Epub 2015 Aug 18. Tchantchaleishvili V, Staicu SA, Giampoli EJ, Chen L, Massey HT. "Utilizing right ventricular assist device with extracorporeal membrane oxygenator for management of diffuse alveolar damage after orthotopic heart transplant." Artificial organs.. 2015 Mar 0; 39(3):289-91. Aktas MK, Zareba W, Huang DT, McNitt S, Polonsky S, Chen L, Stockburger M, Merkely B, Moss AJ, Kutyifa V. "The effect of weight loss on clinical outcomes in patients implanted with a cardiac resynchronization therapy device-A MADIT-CRT substudy." Journal of cardiac failure.. 2014 Mar 0; 20(3):183-9. Epub 2013 Dec 18.